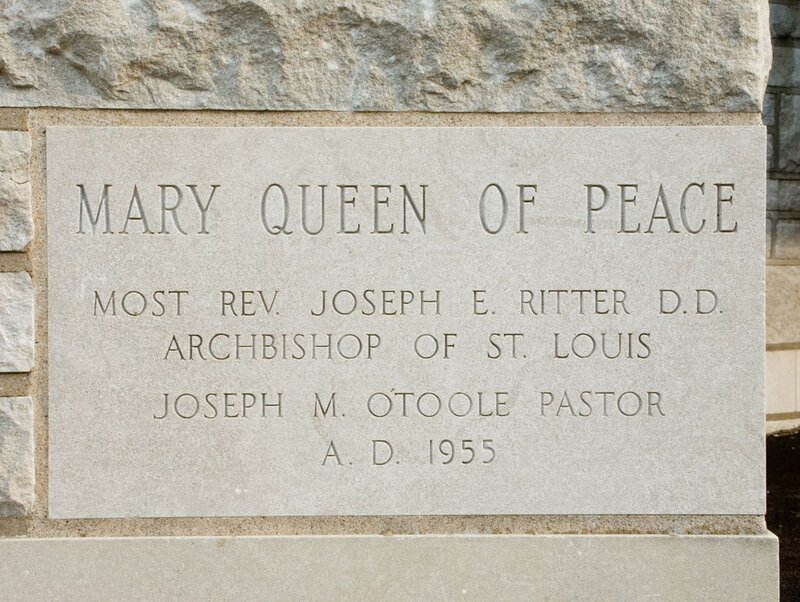 Mary, Queen of Peace Church is located in Webster Groves, Missouri, about 12 and half highway miles southwest of downtown Saint Louis, Missouri. 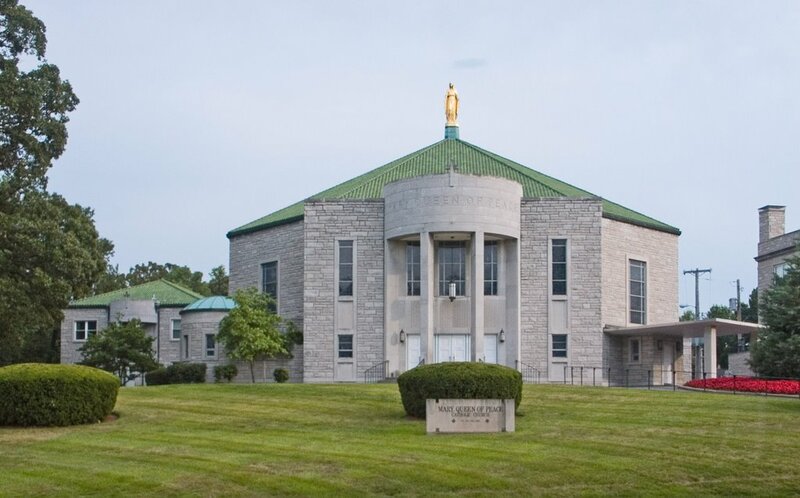 It is one of three Catholic churches in Webster Groves. This church has an unusual octagonal design, with a rounded porch. 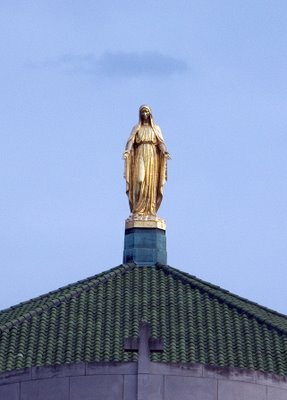 Statue of Mary on top of the church. 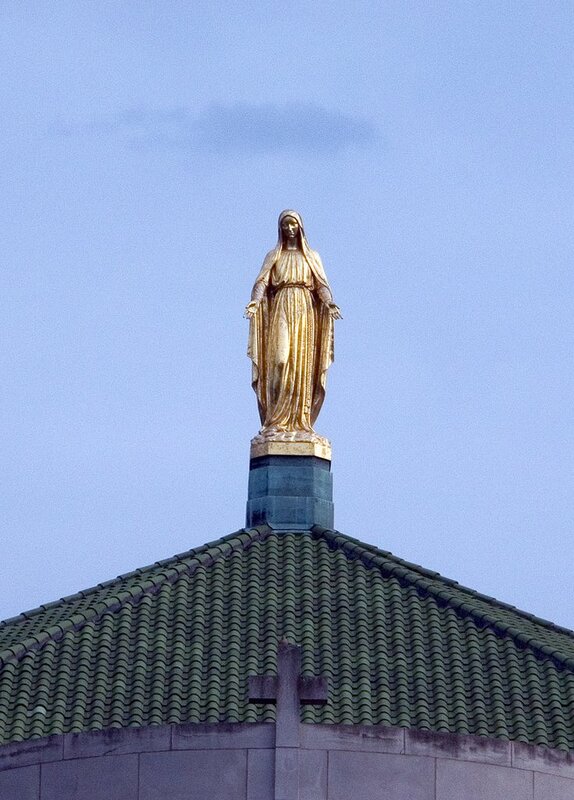 While all Christians recognize Christ as our King, ancient Christianity recognizes and honors Mary as the Queen Mother. The rectory is of similar design to the church. The church was built in 1955. 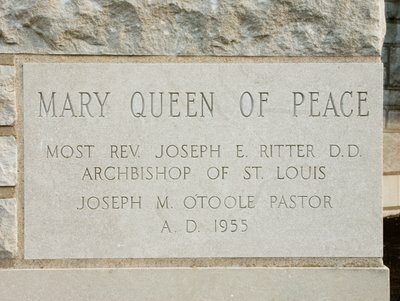 The parish was started in 1922. 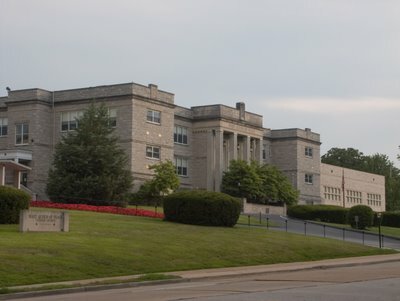 The church has a large school. Traditionally, the educational mission of the Church far exceeds the cost and manpower of its pastoral mission. Like its nearby rival Kirkwood, Webster Groves was founded in the 1850s along the newly-constructed Pacific Railroad, and was an early suburban bedroom community, allowing the upper-middle class to escape from the squalor of the City. 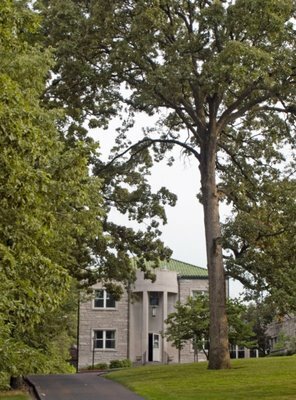 It was named after the liberal New England politician Daniel Webster. I like it. The walls and portico are massive but the eye can't help being drawn to the statue.